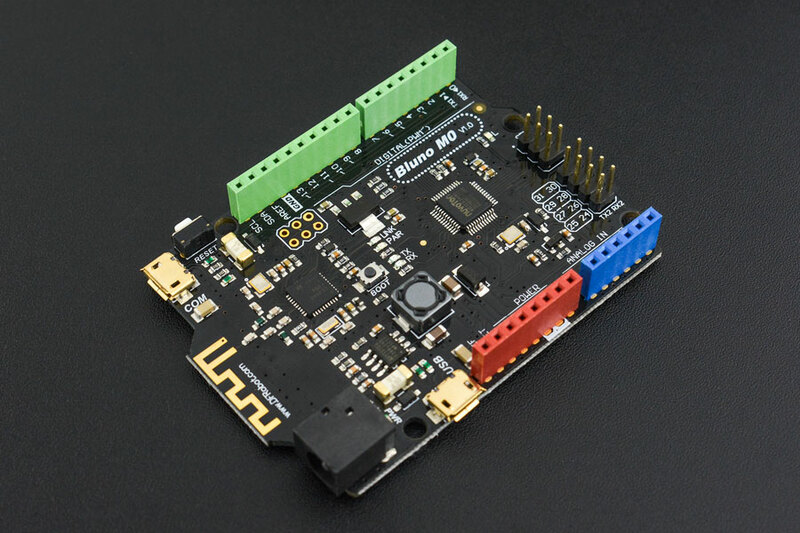 Bluno M0 is the only ARM Cortex-M0 Arduino Microcontroller that supports 5V standard logic level. With built-in Bluetooth chip, Bluno M0 supports multi-functions such as Bluetooth communication, wireless programming. You may also check Bluetooth microcontrollor selection guide to get more information. Have you tried to make projects with traditional Arduino board? Although these boards have better compatibility, but when you want to make volume production, you'll find that these boards are lacking of pins, low-performance or not compatible with 5V operating voltage. And most of them are very expensive. Luckily, Bluno M0 is a great soul solves all. Bluno M0 selects 32-bit Nuvoton high-performance SCM (Single Chip Micyoco) as the core. Besides built-in ARM Cortex M0 infrastructure, Bluno M0 supports 5V Logic level, equipped with 1 USB port and 2 serial ports, providing 31 digital pins (parts AFIO) and 6 analog pins, offering more IO resources. Moreover, Bluno M0 is compatible with Arduino Leonardo package/encapsulation and the clock speed is 72MHz. Additionally, Bluno M0 supplies another IIS interface, supporting play &record wav files. Once put Bluno M0 with advanced IIS chip, professional HIFI audio is available. The Bluno M0 combines a bluetooth module and ARM microcontroller in one Arduino-compatible board with lots of other features. 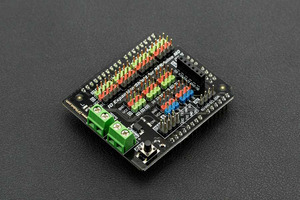 This arduino board is recommended for advanced users who want to dig deeper into BLE, I2S or 32-bit computing in general. 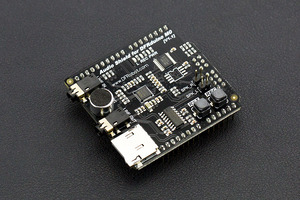 •	Different from official Arduino M0, Bluno M0 adopts a unique chip solution which should be installed independently. It supports Windows, Linux and MAC. •	The default IDE version should be 1.6.0 and above, other versions should be modified according to FAQ instructions.